We all know Tanzanian oil and gas sector is the industry with amazing opportunities. Unfortunately, only a few have access to information regarding emerging opportunities in the gas sector. And the sad reality is this, people having this information are unwilling to share with others. I wonder why there is restricted information in this sector. Okay, that is the talk of another day. The topic at hand is how to set up petrol station in Tanzania. Article explains how to start petrol station with detailed requirements on initial capital needed to start this business, profit potential you make in this business and tips to succeed in this investment. 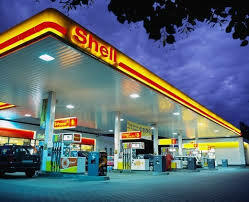 Despite the fact that Tanzania has not recent oil discovery but we are the largest consumer of petroleum products.According to international energy agency, Tanzania consumes 35,000 barrel of oil refined products in 2013.Is for this reasons petrol station is lucrative business in Tanzania. Thousands of automobile, vehicle, and motorbike in Tanzanian run by oil product, Factories, organizations, medical centers, educational institutions, media house all have generators powered by diesel fuel. Not to mention Media house, and town halls. With the growth of Tanzania economy by 6.5 percent indication that many Tanzania would own their own cars and generators since because economic growth is proportionate to the enhancement of living standard of the individuals. And low-income earners will start using kerosene instead of firewood and charcoal. The demand of this business is huge even significant supplier (such as Puma Energy, Total, Oryx) often look for individuals who need to be marketer to fund and give him resources to attract for this business. In a month you get profit of 1,050,000 *30 days=31,500,000 Tsh. Can you imagine? That is the lowest profit you can make after all expenses, And if you obtain a wonderful supplier like PUMA Energy you make big payoff since they have reasonable prices. Land Is essential to purchase land with enough space for vehicles, The prices of land differ from one place to another And fantastic new is this, petrol station not really essential to be in the city with inhabitants like Dar es Salaam, you can also position you fuel station in distant locations whereby another supplier is hardly ever to reach.